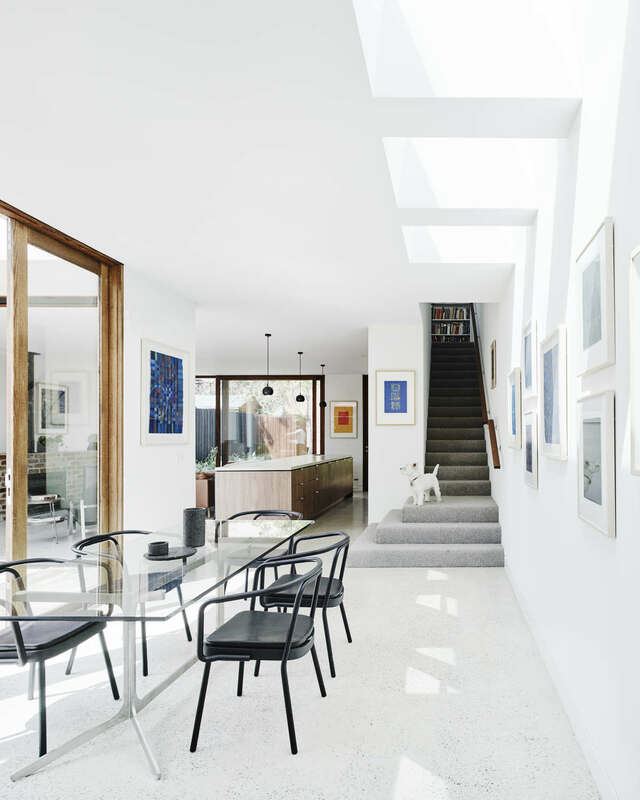 Sitting at the end of a row of similar late 19th century terraces, this small Victorian terrace has been extended on a tight budget by Field Office Architecture. 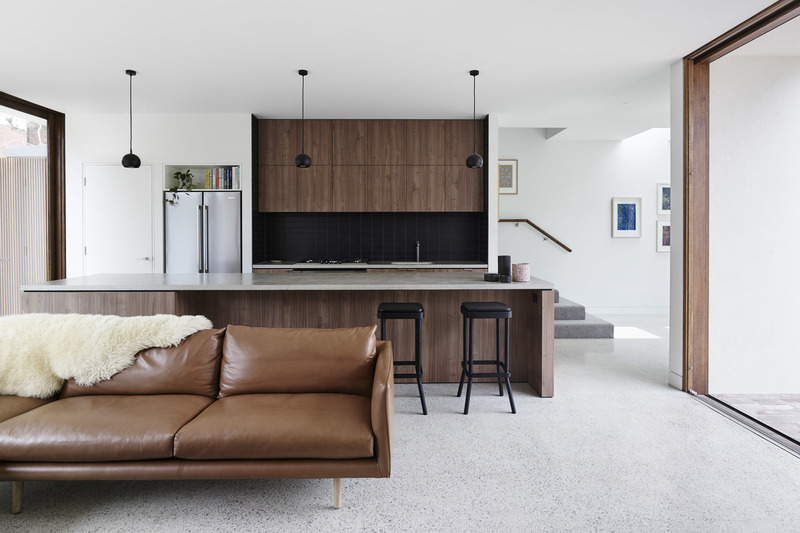 Located in Clifton Hill, the house was fortunate enough to sit on a block that had double-width proportions to the back due to a small electrical substation next door. This opened up a number of opportunities in terms of the architects approached the brief, which was for a new simple, modern, light-filled living, meals and kitchen area, along with master bedroom and studio. 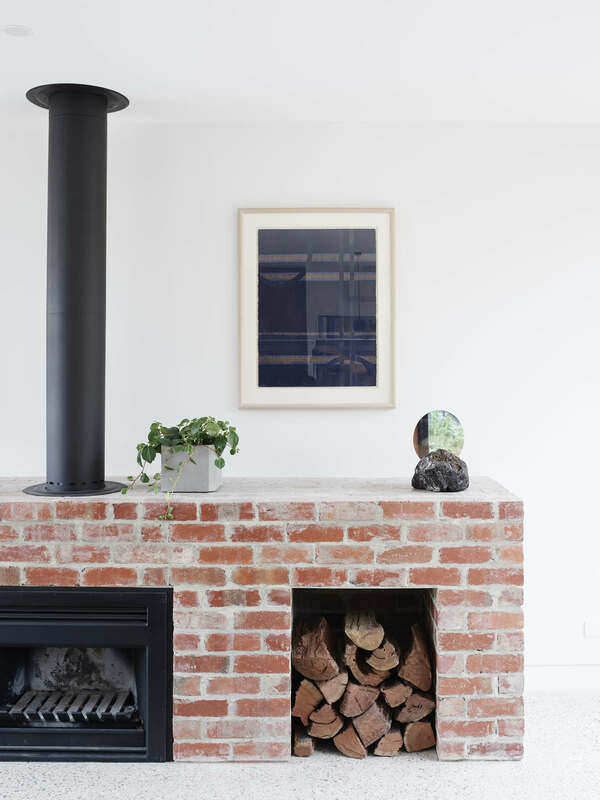 Being a heritage dwelling that had had many ad-hoc renovations over the years, it was decided very early on in the project that all of the additions were to be stripped back, with the original front two bedrooms the only retained aspect of the house. 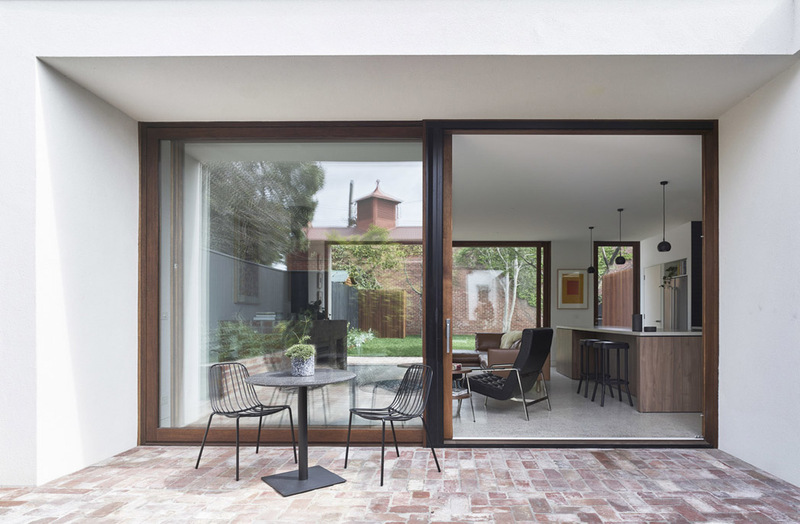 The width of the block, once past the original part of the dwelling, expands rapidly, making it the ideal configuration to create a large, north-facing courtyard in this area with both the dining and living space connected directly. 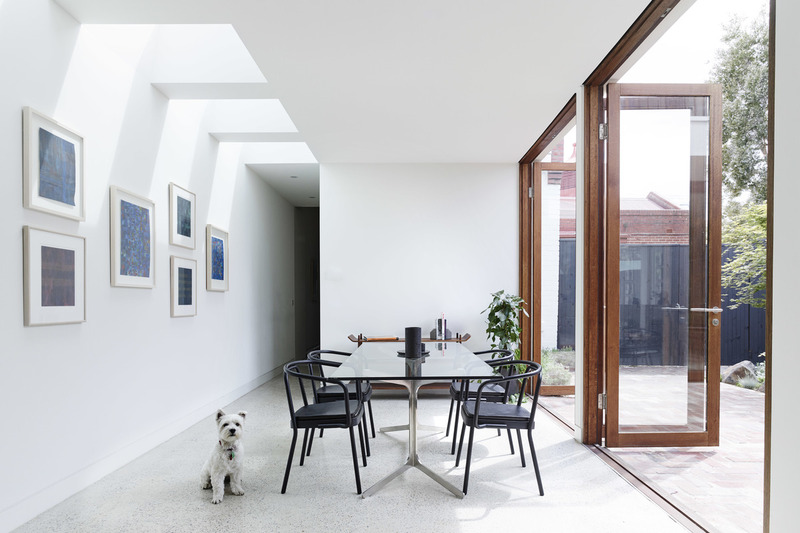 The dining area, which sits adjacent the courtyard, also acts as a gallery with a number of original paintings by the client sitting in the natural light from the nearby courtyard and series of skylights above. 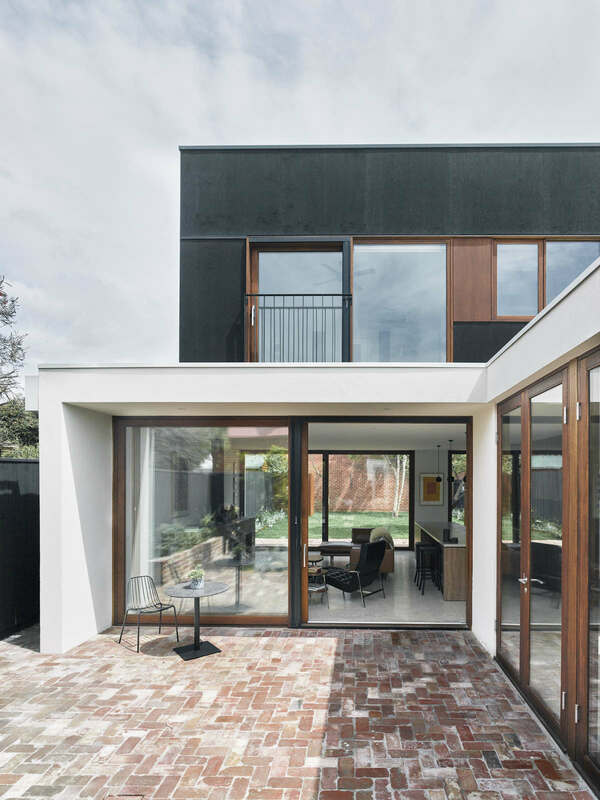 The living room is wrapped either side with full height 3-metre double glazed timber sliders that look both northwards to the new courtyard and south to the rear garden, which is served by a large lawn area and native trees. Field Office Architecture also provided the landscape design for the project, which includes a courtyard that is perimeter lined with seat-height recycled brick planters and a singular Japanese maple tree that provides an elegant focal point, visible from kitchen, meals, living, and the rooms upstairs. Level one houses the master bedroom and walk-in robe, along with a studio for the client, who, as previously mentioned is a passionate artist. “The controlled north facing light to these rooms was critical for the owner and his work, as was the Juliettee balcony to the bedroom which can be left fully open during hot nights, and allows them to lie in bed and see the morning light trickle past the trees and rooftops,” explains architect Chris Barnes. 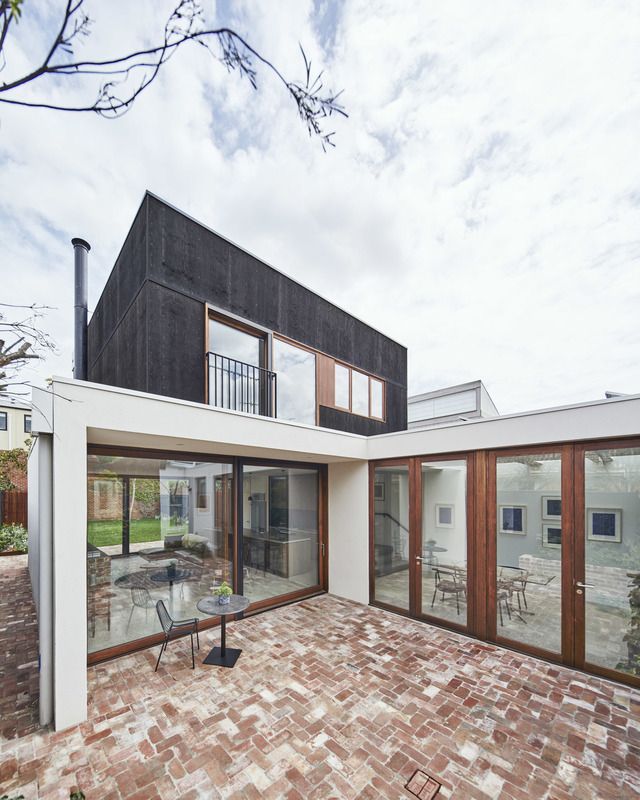 “A combination of dark feature timber framing along with marine grade ply and rendered recycled brickwork make up the primary material palette externally, a simple, affordable and yet robust series of selections that juxtapose elegantly against the heritage nature of the existing part of the dwelling. “Internally, the selections were similarly made to provide a soft understatedness that allows for the artwork and the natural light to take centre stage. That’s why materials such as the matt polished concrete along with soft white tiles are broken up only in small part by the dark timber veneer of the kitchen or the black feature lighting and fixtures. Brushed steel tapware throughout are included for quality and tactility rather than any punctuation of the space,” he adds. The dwelling is insulated with a tight building fabric and double glazing throughout. AC has been avoided as much as possible, and the placement of windows in the house means that all living spaces and the master bedroom can have significant cross flow ventilation when required.